Debra Burdick, LCSW, BCN, also known as ‘The Brain Lady’, is an international expert on Mindfulness and ADHD, an award-winning #1 best-selling author, licensed clinical social worker, board certified Neurofeedback practitioner, and online expert at SelfGrowth.com. Deb recently retired from private practice to slow down and focus on writing and speaking. Her personal mission is to experience contentment and joy and hopes that her books, meditations, and training will help others do the same. She is a frequent speaker for PESI and other organizations, teaching workshops on ADHD as well as Mindfulness Skills to psychotherapists, teachers and other helping professionals, nationally. She also provides Mindfulness training to business leaders and executives to improve their leadership and business success. Debra is retired from her private practice and is not taking new clients. She will continue to write books, speak and teach. Besides her private practice, Debra also worked at the Child Guidance Clinic, Family Services, Child and Family Agency, and Lawrence and Memorial Hospital. 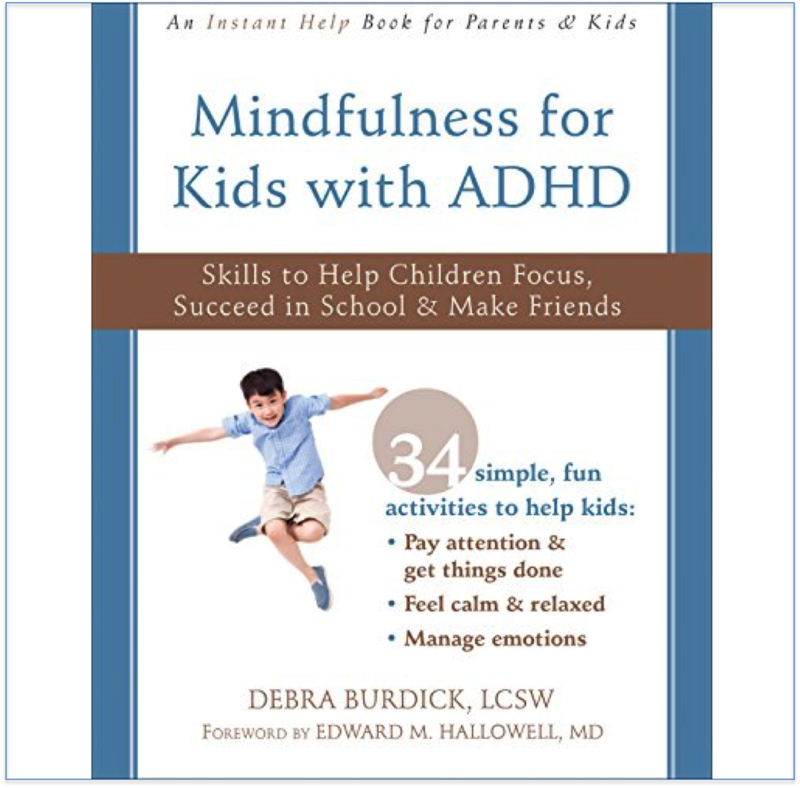 Debra has extensive experience helping children and adults with ADHD. In addition to helping hundreds of clients with ADHD over the past twenty-five + years, she parented a daughter who has ADHD, was married to a man with ADHD, and was business partners with someone with ADHD. She combines knowledge gained from her own personal healing journey, her parenting experience, her clients, and her professional study of ADHD and brain dysregulation to teach a holistic approach to creating success with ADHD. 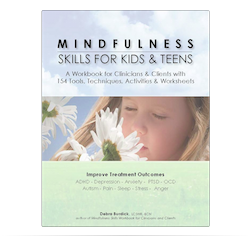 Debra incorporates mindfulness skills in all areas of her life. She initially became interested in mindfulness to deal with a chronic illness (now thankfully healed). She found it so helpful in her own life that she started teaching her clients the skills she was using. She went on to develop clinical material on mindfulness skills and created a 4 step process for working with clients using mindfulness that she perfected in her private practice and in an intensive outpatient program. Her clients have shown her that mindfulness skills improve the rate and quality of treatment outcomes. 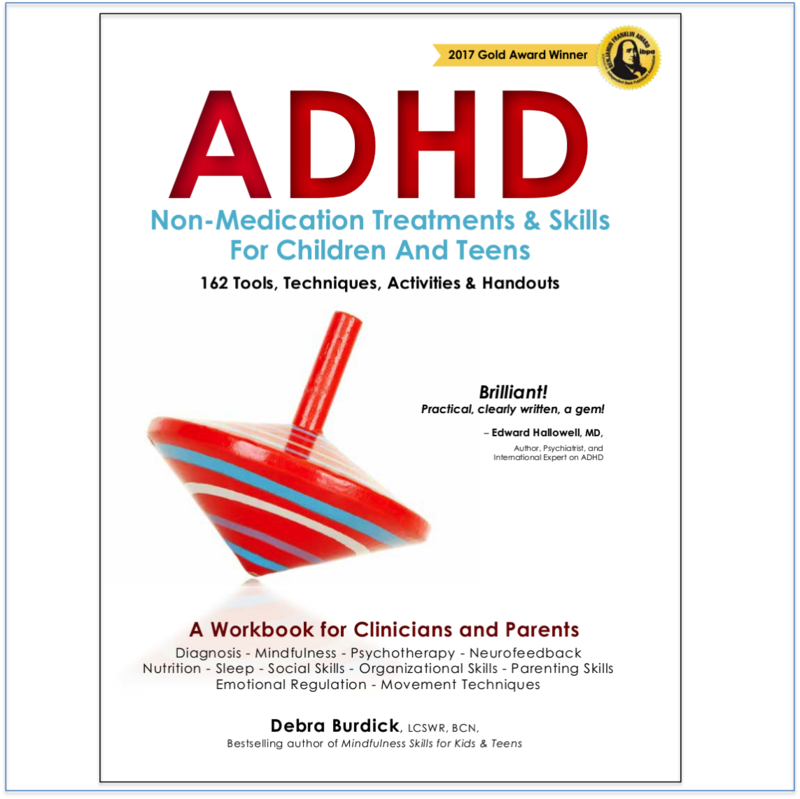 Childhood ADHD: Advanced Non-medication Treatments and Strategies that Change the Brain. Debra has presented numerous presentations, workshops, and teleseminars. She is often interviewed on internet radio and her work has been featured in The Wall Street Journal and The Day newspaper, Self-Improvement Magazine, and Parenting Powers television show. She is an expert author on SelfGrowth.com. Click on a question to see the response or simply scroll down to read all of the responses. How did you become known as The Brain Lady? To answer this question, I would like to share with you a variety of important experiences that brought me to where I am today, helping people like you feel better, think better, and perform at your peak. First, in my 20’s, after a very painful relationship breakup, I realized I needed help and sought out a psychotherapist. He helped me so much. I felt the work I did with him was the best thing I ever did for myself and it truly changed my life for the better. Secondly, after spending 16 years working as a computer software engineer mostly on defense contracts, I realized I wasn’t happy with my work. I decided to go back to school to get a Masters Degree in Social Work. I felt that if I could help even one person as much as my therapist had helped me years before, then it would all be worthwhile. I now feel very grateful to have helped hundreds and hundreds of people. Thirdly, I got sick in 1984 and no one could figure why I was ill. This began a healing journey that led me to learn about many alternative healing modalities. Among other things, I had been diagnosed with Fibromyalgia. I discovered that listening to a guided progressive relaxation meditation was the only thing that turned down my pain. At one of my Neurofeedback Conferences I discovered that Neurofeedback was being used to help Fibromyalgia. When I returned from the conference I did 30 Neurofeedback sessions in 40 days and was able to eliminate the medication I had been taking – and the symptoms are gone! And finally, my daughter was diagnosed with Attention Deficit/ Hyperactivity Disorder. In elementary school she started taking stimulant medication and her grades improved. Then when she was 13, she did Neurofeedback training. She was able to discontinue her stimulant medication and her grades remained good. She graduated from college after spending 3 years on the Dean’s list – no medications needed. This personal journey helps me understand how to help people of all ages, from diverse backgrounds that are ready to make positive changes in their life. I know what it takes to make personal change as I have made significant changes in my own life. I also have first hand experience with being helped by the treatment modalities I offer to you. Besides a BS in Applied Mathematics and 16 years as a computer software engineer, I have a Master’s in Social Work, 25+ years as a psychotherapist, and I am board certified in Neurofeedback and the brain. I became known as The Brain Lady when many of my clients started calling me that. One man told me he would tell his wife ‘today is my appointment with The Brain Lady’. Parents would tell their kids, time to visit ‘The Brain Lady’. My clients benefitted from my specialized training concerning the brain which I incorporated in psychotherapy, mindfulness, and Neurofeedback. I adopted the name for my practice and my website. I became a psychotherapist since 1992 and have worked at Family Services, Child and Family Agency, The Child Guidance Clinic, the Care Center, Lawrence and Memorial Hospital and have been in my private practice since 1999. I also added Neurofeedback to my practice in 1999. I have been writing books since 2009 and teaching workshops since 2012. I recently retired from private practice to slow down a bit and focus on writing and speaking. Therefore, I am no longer seeing clients. Now my “clients” are my readers, workshop attendees, and those who use my mindfulness CDs/mp3s and teletrainings. Many of my “clients” are mental health providers, teachers, ADHD coaches, as well as children (and their parents) and adults with ADHD, and those who are interested in learning about mindfulness and incorporating it into their lives. My background and training are unique. I have studied psychotherapy, as all therapists must, but I have 300+ hours of specialized training in Neurofeedback and Neuroanatomy and Neurophysiology of the Brain. I have also trained extensively in Attention Deficit/Hyperactivity Disorder, mindfulness, health, depression, anxiety, relationships, and addictions, and am continuously updating my skills. I teach practical, brain-based mindfulness skills to help people reduce their stress response, and improve their self-awareness, concentration, well-being, mood, self-esteem, and health. How do I contact Deb to schedule a speaking engagement or to discuss joint ventures or publishing opportunities?